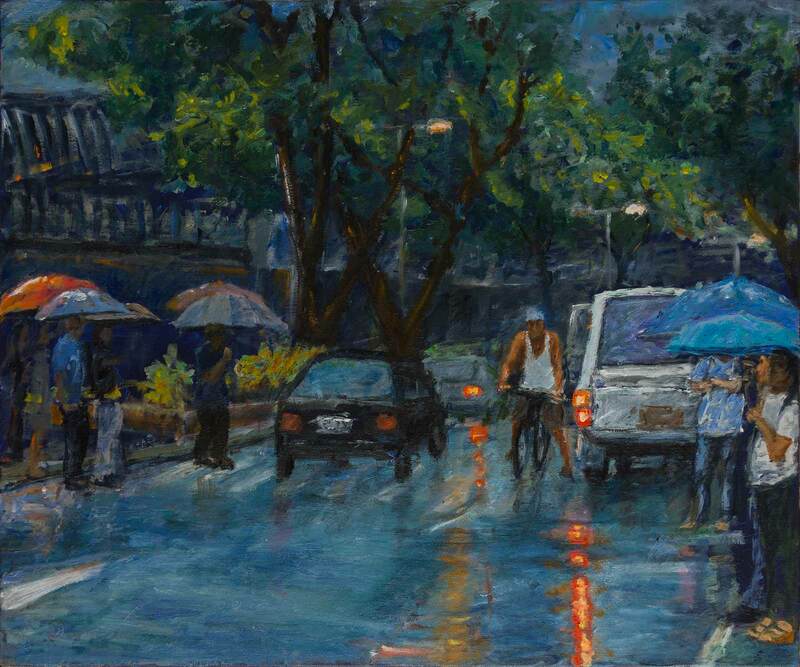 Peter Hobden's Painting Adventures: Rainy day in Makati . Rainy day in Makati . Oil on thick canvas board - 24" x 20"
I am a painter. I am enchanted to be a painter. I paint landscapes and people I have seen and been touched by. I am fascinated by the promise of expression through light and color, with the power to evoke. I am under the spell. Painting stitches meaning into the fabric of my life. I discovered painting late, after more than 20 years as a computer developer and project manager. This is a journal of my painting as it unfolds including differents stages in the painting process from sketch to finished painting. My paintings are at http://www.peterhobden.com. I will willingly respond to any serious inquiries.